It would be easy to ignore the events of today, and I could retreat behind the claim that I only address myself to matters of spirituality. But that would be cowardly. Something massively important happened in this country today and in other countries around the globe. It cannot be ignored. There was a collective consciousness on this planet, an energy, that moved people who have never been so moved before. I marched today in my town of Sedona, with a large group of people, including Sedona’s female mayor. Our backdrop was beautiful red rocks that were covered with snow. There were people in my small town who brought their children, people in wheel chairs, elders who found it difficult to walk, but there they were. Present. Peaceful. Helping one another across streets, bringing water, walking service dogs and pets. My daughters and my granddaughter were marching in Washington, D.C. And Los Angeles with hundreds of thousands of people. What I saw and heard was a demand for the end of hate. I know that there are social and political issues that are related to this great speaking out, but there was something in this demonstration that over-arched all of them. It was in the mass of humanity that felt compelled to bring a presence to the rise of something dark in our time. That is what this really is about. It isn’t about the man in the White House; it isn’t about the political process that seems to be regressing into a cruel past. It is about the fear and hate that is driving it. And it seems to me that today, there was a great rising up of humans against our darker natures, rejecting hate in all its forms. Notable was that it was completely without violence and rooted in peace. 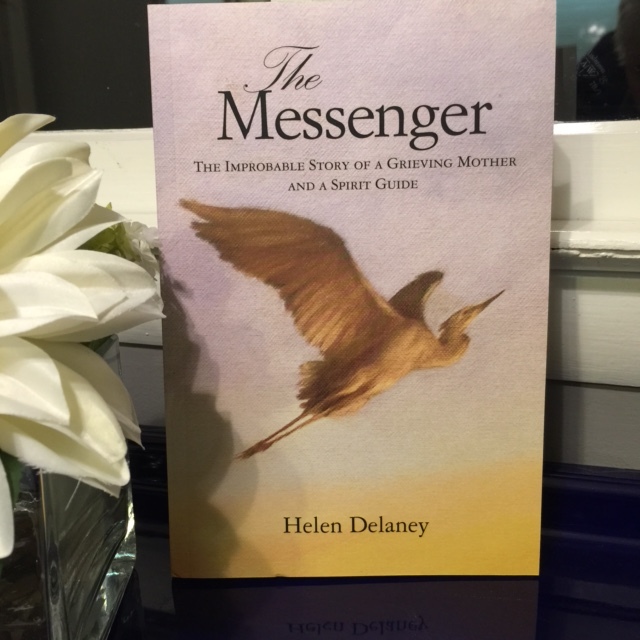 Read: The Messenger: The Improbable Story of a Grieving Mother and a Spirit Guide by Helen Delaney. 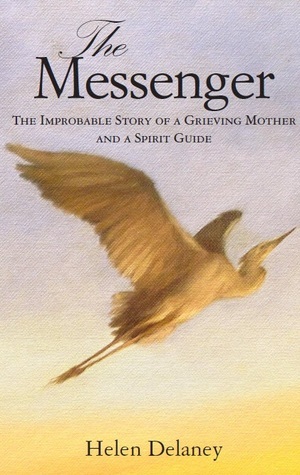 Find it at www.amazon.com and for a signed copy, visit www.themessenger.space. Last week, I traveled back East to go to a retirement party. It wasn’t just any retirement party; it was for someone I have worked with and worked for, for a long, long time. There was a ballroom full of people. I saw people there whom I’ve known most of my working life, colleagues who became old and dear friends. It was a grand goodbye, not just to my friend who was retiring, but also to the organization that had been my home and my family for the last forty-five years. For his retirement marked my own. I worked for him and him alone, and when he was finished his work, so was I. When I was young, I didn’t know that when I watched the sun set and the sun rise, when I saw the summer end, and watched as autumn redid the colors of the forest, that I was witnessing the eternal cycle that encompassed all of life. I didn’t know yet about death and life, and life and death. I didn’t know about the cycle of letting in and letting go. Just before my trip, I learned of the death of an old friend and a colleague. This week, I learned of the death of the nephew of a friend of mine. This morning, I spoke to a woman whose son’s best friend is dying. This afternoon I went to a memorial service for the husband of a woman I have come to know here in Sedona, and spoke to another there whose partner died two months ago. There are times when it seems as if death is everywhere. And it is. I’ve seen it come to people I know and to people I love. It is how I came to write my book; it is why I write this blog. It was death that brought me here, but it was witnessing the cycle of letting in and letting go that taught me the little I know. And today, here I am, of a certain age, knowing that death is not followed only by the space life used to occupy. I am able to see life all around me, sure that it doesn’t go anywhere. The sun sets and the leaves fall, and life continues. It changes form, but it doesn’t go anywhere. A tree will fall and leave its seed in the ground to grow again. But even when we know what death is—the shedding of the physical body for an ethereal body, a spirit body, a non-suffering body, the loss of that beloved physical presence is painful and heartbreaking. Even when we know that our loved one is safe and happy, it is a long while before we can feel anything but grief. But grief, too, is part of the cycle. It, like the snow and ice of winter, is followed by unforeseen and unimaginable gifts, whether we want them or not. In the past couple of days, I’ve seen a movie or two, heard a song here and there, and read a poem, all of which had pretty much the same theme—letting in and letting go. L’Histoire de la Vie. The Circle of Life. The 1946 movie and great novel, The Yearling. They all came to me within a few days of each other. When this happens, especially in the midst of a grand goodbye, several deaths and a memorial service, I stop and listen. Apparently, the Universe is trying to tell me something, or remind me of something. I think It is saying, Look. Look again. See how this works. It is happening all the time and everywhere. Some of it will break your heart. But all of it is followed by something you’ve never had before—the wonder of life without end, the gift of love, and a vision of forever. I am traveling today. See you next Sunday.